"This is the Stooges, sir. When the legend becomes fact, print the legend". (6-24-12) NO DUMMY..This Sunday in 2005 we lost the great ventriloquist, inventor ( first artificial heart ), voice actor ( Tigger ), philanthropist, and childhood favorite PAUL WINCHELL. 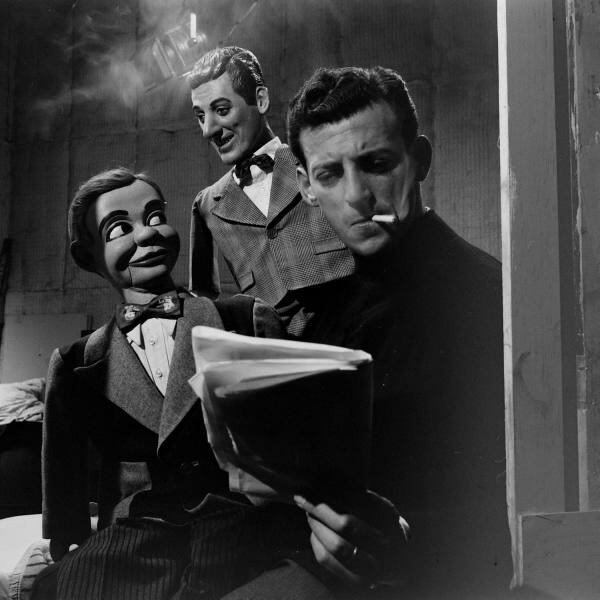 How cool is Paul; making a dummy of himself to talk to the other dummy ( Jerry ) while Paul has a smoke and reads the paper! Paul worked with The THREE STOOGES on a film called "Stop,Look,& Laugh". IGGY wrote a song called "Puppet World" which he played live(see IGGY's "Nuggets" CD) but sadly never recorded.